Webinars are a great way to build brand and connection with your audience. However, if not positioned properly you can create a disaster at the same time. My friend Joel Erway has helped companies use webinars that generated 8 figures in revenue and explains some key strategies with me that will help you leverage webinars very effectively. Henry Kaminski Jr. is the founder of Unique Designz by the HMK Group, a full-service ... See More graphic design, branding, and marketing company. 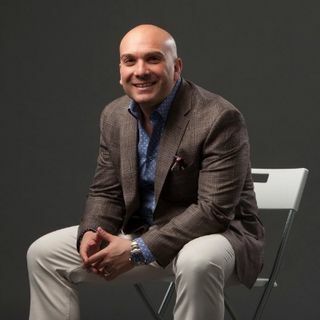 He is also author of the best seller “Refuse To Give Up.” As a self-taught graphic designer and brand consultant, he’s overcome all the odds to build a wildly successful multi-million-dollar business over the past decade. He has worked with a diverse range of business owners and professionals, including Jon Bon Jovi and Internet marketing expert Russell Brunson who has named Henry the “Million Dollar Designer.” Ultimately, Henry is dedicated to helping small businesses grow and reach their goals through creative design, brand building which will allow entrepreneurs to design the life of their dreams!